Please type in your street address only. Do not include your city, state or zip code. The city is divided into ten (10) work zones. Crews are scheduled for two (2) consecutive business days in each zone and leaf pickup operations will not begin in a zone before its scheduled pickup dates. To find what work zone you are in, visit the City’s website at www.bgky.org and click on Leaf Pickup Information and enter your street name. PLEASE DO NOT CALL THE POLICE DEPARTMENT. 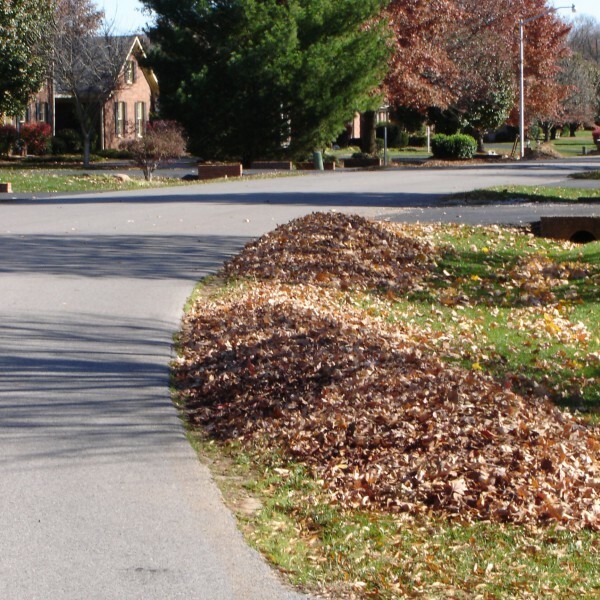 To find the 2018 Leaf Pickup Schedule, visit the Events Calendar on the City’s website at www.bgky.org or call the City’s Information Hotline at 270-393-3333. PLEASE DO NOT CALL THE POLICE DEPARTMENT. Leaves should be raked to the edge of the street BEFORE the first scheduled pickup day. 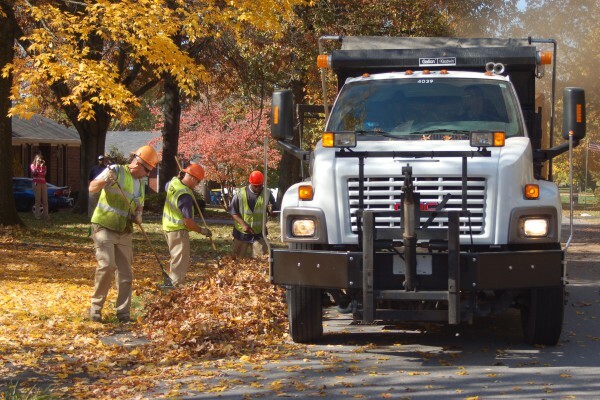 If crews pick up leaves on your street on the first scheduled pickup day, they do not return on the second day. Crews will pick up leaves from the edge of a city street which the residence faces. If a residence is on a corner of two streets, each street may not be in the same work zone. Crews do not go onto private property such as along driveways or behind houses to pick up leaves. Leaves must not be placed on sidewalks, in the street or gutter lines, around fire hydrants, mailboxes, guywires or parked vehicles and must not obstruct drainage structures. The placement of leaves on sidewalks, in streets or gutter lines, around fire hydrants or in a manner to obstruct drainage structures violates City Ordinances and could result in civil fines. In addition, placing leaves on sidewalks, in streets or gutter lines, around fire hydrants, mailboxes, guywires or parked vehicles could cause accidents to vehicles or pedestrians resulting in personal liability. Leaves will not be picked up from commercial properties, in private subdivisions, along private roadways in alleys or in mobile home parks. Leaf piles must be free of any debris including tree limbs, rocks, household trash, discarded furniture, wheels/tires or any other debris that may cause damage to equipment or injury to crews. 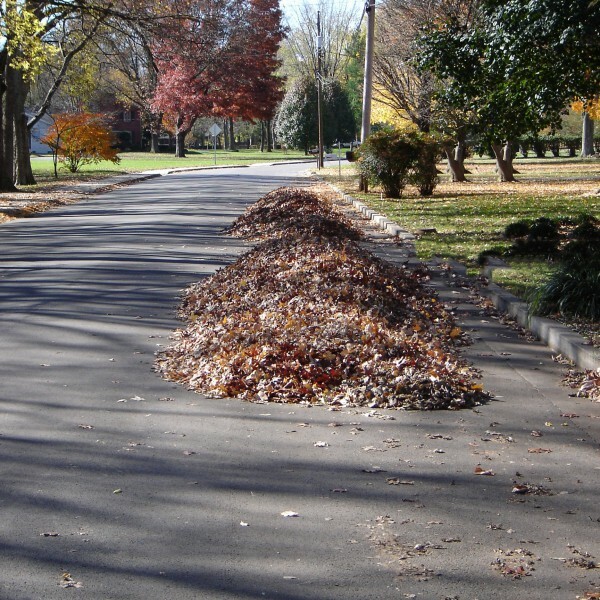 If you miss your scheduled leaf pickup day, call City Central at 270-393-3444 to be placed on the ‘ALIBI LIST’. As time permits, we will take this list and backtrack to pick up your leaves. PLEASE DO NOT CALL THE POLICE DEPARTMENT. If we intentionally do not pick up your leaves, an ORANGE door hanger will be placed on the front door of the residence with an explanation and contact phone number. In areas of on-street parking that parked vehicles interfere with leaf pickup operations, we may close those streets to parking to perform leaf pickup operations. We will give a 72 hour notice via local and social media and mark those streets with temporary NO PARKING signs. When parked vehicles interfere with leaf pickup operations, we will be forced to leave any inaccessible leaves in place. We will avoid towing parked vehicles whenever possible. Should there be a measurable snowfall event during the leaf pickup schedule that would warrant snow removal from city streets, leaf pickup operations will be postponed. The same crews are used for both operations, Leaf Pickup and Snow & Ice Removal. Once the weather permits and the streets are clear of snow, crews will resume leaf pickup operations in the zone scheduled per the advertised leaf pickup schedule. Zones that were skipped for the snow event will be picked up as time permits. Begin taking individual pickup requests from citizens. Leaf Season zone pickup begins starting in Zone 10. Individual pickup requests discontinued on this date. Leaf pickup resumes on a request basis. Pickup will also be performed as needed to re-establish free drainage. Schedule is subject to change at any time, there will be no leaf pickup on holidays, and we will not be working any overtime unless it is absolutely necessary.